Are Seasonal Allergies Causing You Problems? 01 Jun Are Seasonal Allergies Causing You Problems? Many people don’t know that seasonal allergies can cause health problems that manifest different symptoms such as fatigue and digestive issues. This includes both food allergies and environmental allergies, such as seasonal ones that come around in the spring. Over 50 million Americans have allergies each year. When it comes to food allergies, just one bite of food can cause you swelling, inflammation, aches and pains and more. However, if your symptoms are present but not chronic, it could be a simple food intolerance. 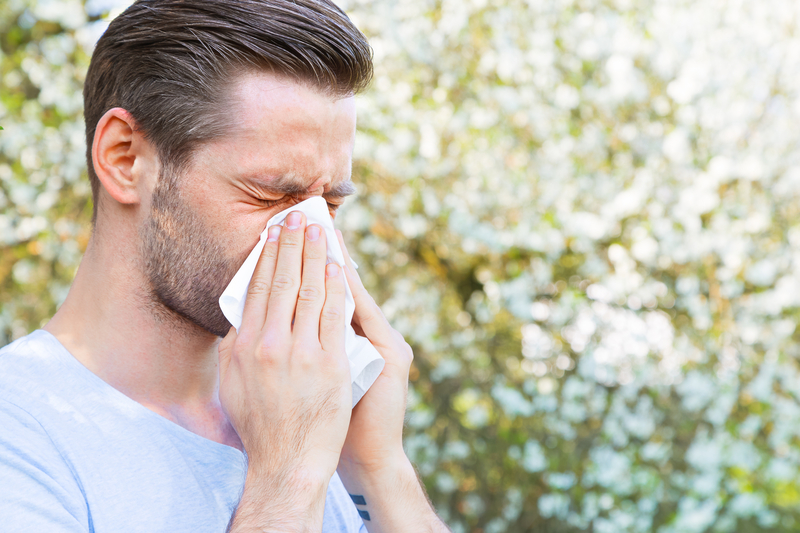 Find out what allergies affect people, the symptoms they cause, and how you can find relief! Do you notice a change in your health when spring and summer months come? With the changing of the seasons, flowers, trees, weeds and more start to grow. Spores fill the air alongside pollen and other allergens, and during this time, many people can be hit by uncomfortable seasonal allergies. The American College of Allergy, Asthma & Immunology reports that this is because tree pollination starts in February, followed by grass pollination later on in spring. Added spring showers cause molds and similar allergens to grow. Spring is essentially a breeding season for allergens. Those allergens can cause symptoms such as sneezing, runny or stuffy nose, congestion, swollen lymph nodes, itchy or watery eyes, fatigue, digestive or bowel issues (such as irritable bowel syndrome), a cough, and general aches and pains. You get these symptoms because of your immune system reacting to all the new pollens and other allergens that are released into the air in high amounts. Getting seasonal allergies under control can be as simple as using various allergy inhalers, over-the-counter medicines, a change of routine, or avoiding allergens as much as possible. To combat all the new particles in the air, your immune system may produce many different types of symptoms to try to rid the allergens from your body. Your body attacks food allergies and intolerances in the same way. When a patient is allergic to a food or additive ingredient, they usually encounter symptoms like hives, wheezing, confusion, and stomach pain. Some allergic reactions can actually be life-threatening if they cause so much inflammation that the tongue swells enough to block off a person’s airways. With certain intense food allergies, the immune response to foreign allergens can also be so strong that it can send a person into anaphylactic shock, which can be fatal. Over 50 million Americans have some sort of allergy. 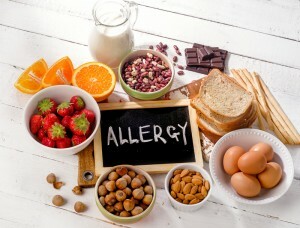 Common food allergies include milk, eggs, tree nuts, peanuts, fish/shellfish, wheat and soy. These can cause symptoms such as vomiting, stomach cramps, hives, shortness of breath, wheezing, coughing, trouble swallowing, a weak pulse, dizziness, fainting and more. The majority of the population aren’t aware of food intolerances, which is a step down from a food allergy. While major allergies can cause severe reactions in the body, there are other allergens that simply irritate the body. Examples are eating foods that contain certain ingredients that always tend to make patients feel sick afterwards. Skin problems, headaches, digestive or bowel issues and insomnia can all arise when a food intolerance goes untreated. Sometimes you can guess at some foods or seasonal allergens that bother your body. However, it’s best to be sure about those allergens so you can avoid them, especially if it is a life-threatening food allergy. In order to determine what allergens or foods your body reacts to, a technician at our office will draw your blood for testing. A sample is analyzed with various allergens using state-of-the-art equipment. 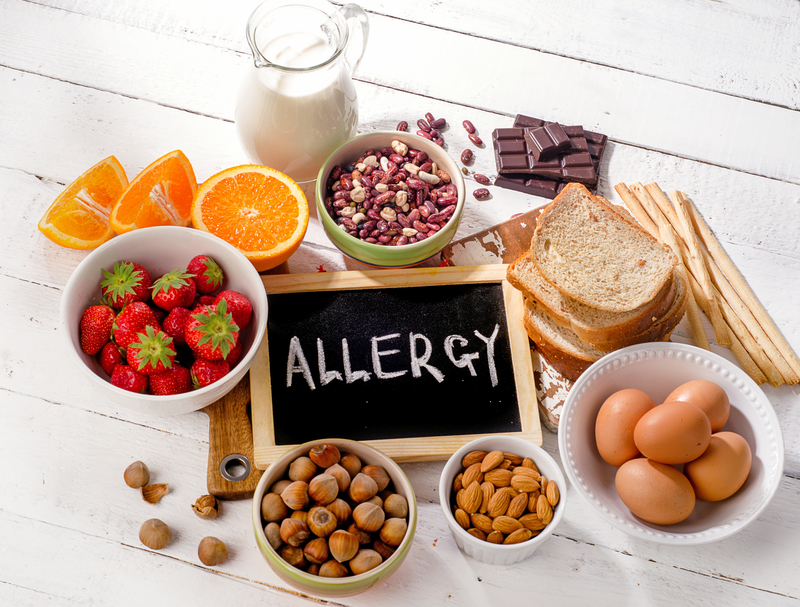 Running panels on more than 200 different types of seasonal, environmental, food and other allergens, we can produce a report of how your body reacts to different allergens. As you test positive for different allergens, we create a customized treatment plan for you to receive immunotherapy. Some patients can do this therapy for a short while, while others may need a few years to become fully immune to allergens. Do any of the symptoms we’ve mentioned sound like ones that you’ve been having? Whether you have seasonal allergies or food allergies, you never want to ignore them. Seasonal allergies can come back every year without help. Immunotherapy is one of the best ways to help yourself become immune to common seasonal allergies that affect you. After testing for food or seasonal allergies, we can create a customized plan to help reduce your symptoms over time. Many patients who use immunotherapy find themselves enjoying all seasons of the year much more than they used to. Those with chronic food and seasonal problems can find major changes in how their body feels, especially in the spring and summer months. 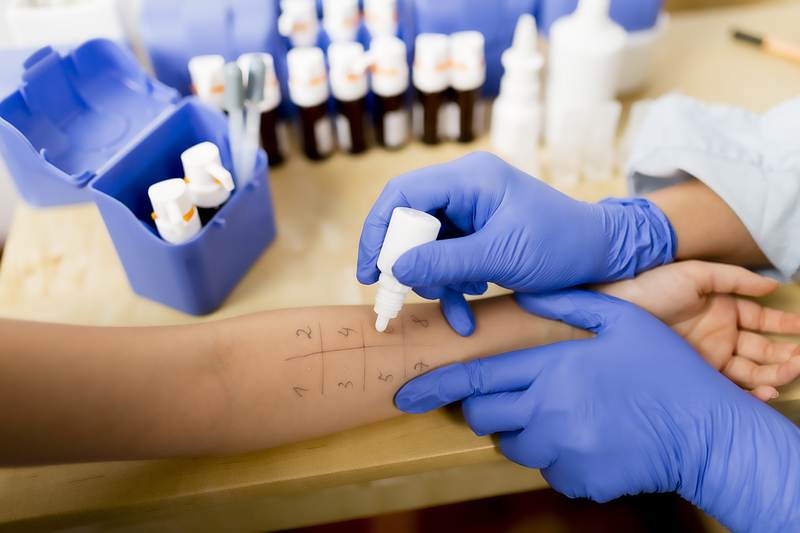 Want to try immunotherapy and allergy testing and treatment for yourself? Simply call Mile High Spine & Pain Center at (720) 507-0080!